On the National List of Threatened Species, it appears in the “In Danger of Extinction” category. In the 2004 edition of the Red Book of Spanish Birds (Libro Rojo de las Aves de España) it is listed as “Endangered”. The scarcity of rabbits, the destruction of its habitat, poisons used in game preserves, electrocution and pollution. Identification: Large bird of prey, dark brown, with characteristic white spots on the shoulders and pale at the nape and on the sides of the head; in flight the pale shoulders, long and rectangular wings, and base of the light-coloured tail are visible. Juveniles less than one year old are a reddish colour with dark flight feathers; in flight, the contrast between the reddish colours of their bodies and axillas and their black secondary feathers, white primary feathers, dark tail and white rump. It takes them about 5 years to acquire the characteristic adult colouration, going through an intermediate “checkered” stage, whose name comes from the mix of light and dark feathers. Song: It makes a sound that can be confused with a crow's cawing, "awk awk awk". Diet: It feeds on rabbits, although its diet also includes reptiles, an occasional bird, and sometimes carrion. Reproduction: It nests is calm areas, far away from humans, in large trees. When building the nest, the female devotes more time, although both participate. Copulation begins in late January, the eggs are laid between late February and March, and they hatch around the end of April. Incubation is performed by both and, once the chicks are born and depending on the availability of food, in some cases a chick can eat its sibling (fraticide). In inhabits different areas, and it prefers lands with a soft topography, good tree cover, and an abundance of rabbits. It also appears in areas with abundant scrubland and private game reserves, where it is not bothered. In Spain: It breeds in the Central System, Montes de Toledo, different places in Extremadura, the mountains of Almadén-Guadiana, Sierra Madrona, eastern Sierra Morena, Sierra Morena in Seville and Córdoba, Doñana, and the Guadalquivir marshes. In Castile and León: It is distributed throughout the southeastern quadrant of the community, or in other words, in Ávila and Segovia. Movements and migrations: Southwest Madrid, the Tajo and Tiétar Valleys, Campo de Montiel (Ciudad Real), and the regions of Llerena and Azuaga are the dispersion areas for juveniles. In Spain: There is an estimated population of 204 breeding pairs (2005 data). 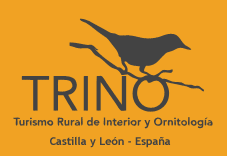 In Castile and León: There is an estimated population of 29 breeding pairs (2005 data).